The National Assembly on Thursday passed the 2017 Appropriation Bill, raising the figure from N7.30 trillion presented by President Muhammadu Buhari on December 14, 2016, to N7.44 trillion. In separate sessions, both chambers of the assembly approved the Bill with the same figure, which represented an increase of about N143 billion from the amount proposed by the president, after harmonising their reports. At the senate, the passage of the Bill followed the presentation of report on it by the Chairman, Committee on Appropriation,Senator Danjuma Goje, at plenary. In the approval, Statutory Transfers got N434 billion, N1.8 trillion for Debt Servicing, N177.5 billion for Sinking Fund for Maturity Bonds and N2.99 trillion for Recurrent Non-Debt Expenditure. Contribution to the Development Fund for Capital Expenditure, exclusive of the capital expenditure in statutory transfers for the year ending December 31, 2017, got N2.2 trillion. The chamber pegged crude oil production for the budget at 2.2 million barrels per day, with foreign exchange rate of N305 to a dollar. Presenting the report earlier, Goje had said that the increase in the 2017 budget was informed by the need to make budgetary provisions to some critical sectors of the economy. “The committee made some landmark interventions in the critical sectors of our national life. This includes the provision for second Abuja runway and rehabilitation and upgrading of Abeokuta Airport. We have also made adequate provision for the completion and take-off of Barinda Port under the Nigeria Inland Waterways. We also have provision for the Amnesty Programme to ensure full stability and peace in Niger Delta with the obvious increase in oil production,’’ he said. Other senators contributed to the debate on the report, with Deputy President of Senate,Ike Ekweremadu, commending the Joint Committee on Appropriation for presenting details of the budget. He also commended the assembly for some innovations introduced into the budget, making it more inclusive. Ekweremadu urged the executive to present the budget for 2018 early enough to enable the National Assembly return to the budget cycle of January to December, assuring that if it was presented early, it will be considered it by legislators. In a voice vote, the lawmakers passed the Bill, and urged the executive to ensure that the budget was implemented fully. In his remarks, the President of the Senate, Bukola Saraki, said that one of the achievements of the 8th National Assembly was making the budget available to the public. He called on all major stakeholders to ensure that the budget, christened “Budget of Recovery’’ would reflect equity in the allocation of resources to all sectors. According to Saraki, ensuring equitable distribution of resources will go a long way in helping Nigerians to come out of the present economic recession. 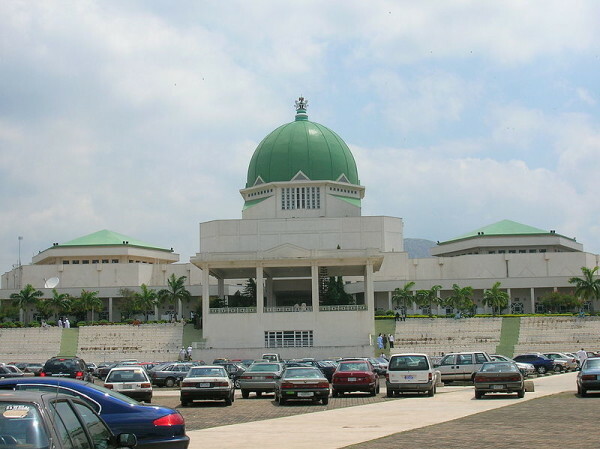 At the House of Representatives, the Bill was passed with N434. 41 billion provision for Statutory Transfers, N1.84 trillion for Debt Servicing, N177.46 billion for Sinking Fund from maturing bonds. Recurrent Expenditure got N2.99 trillion, Capital Expenditure, 2.18 trillion and provision of N2.36 trillion was made for Fiscal Deficit, with deficit to Gross Domestic Product (GDP) put at 2.18 per cent. Highlight of the budget showed that Ministry of Power, Works and Housing received the highest fund of N586.54 billion, Ministry of Transport, N256.52 billion; Ministry of Education, N455.41 billion and Ministry of Health, N308.46 billion. Ministry of Information and Culture got N9.55 billion, N4 billion for Treasury Single Account (TSA) operations. The House approved Federal Government’s N2.60 billion allocation for the benefits of retired Heads of the Civil Service of the Federation under the Service Wide Vote and Pensions. Implementation of the Economic Recovery and Growth Plan received N2.5 billion, North-East intervention fund, N45 billion; fund for zonal intervention projects also known as constituency projects remained at N100 billion as in 2016 budget. The report of the 2017 Appropriation Bill was earlier presented by the Chairman of the House Committee on Appropriation, Rep. Mustapha Dawaki, to the plenary for consideration. Dawaki said that the committed was guided by the “primary revenue parameters approved by the National Assembly when it considered the Medium Term Expenditure Framework /Fiscal Strategy Paper (MTEF/FSP). “This estimate is predicated on the revenue assumption of an oil price benchmark of 42.50 dollar per barrel, crude oil production rate if 2.2 million barrels per day and an exchange rate of 305/dollar’’. He, however, said that the house changed the oil benchmark to 44.50 dollars per barrel. Dawaki gave breakdown of the N143 billion added to the budget by the lawmakers, saying that Judgement debts (Justice) got N10 billion and Backlog of Corps Members Allowances (Youth), N13.06 billion. Others, according to him, are Repairs of Abuja Airport Runway (Transport), N5.8 billion; Increase in Personnel Cost (18 MDAs), N5.1 billion; UNESCO Assessed Contribution (Education), N1.2 billion; Subscription to Shelter Afrique (Power, Works & Housing), N3.6 billion. It also include Economic Recovery and Growth Plan (ERGP -Service Wide), N2.5 billion; Amnesty Programme (Service Wide), N10 billion; National Identity Management Commission (SGF), N5 billion, and Roads, Nationwide (Power, Works and Housing), N25 billion. The lawmaker added that adequate provision had been made to improve inland water ways, “for the second Abuja runway, and funding of the long-abandoned Itakpe-Warri rail line and Abeokuta Airstrip”. On a voice vote put by the Speaker, Yakubu Dogara, after the consideration of the Bill, the house passed it. “The house considered and passed the report of the Committee on Appropriations on a Bill authorizing the issue from the Consolidated Revenue Fund of the Federation the total sum of N7.44 trillion,” Dogara declared.